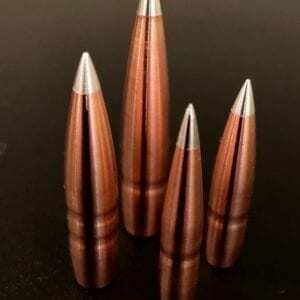 We specialize in lathe turned copper bullets. 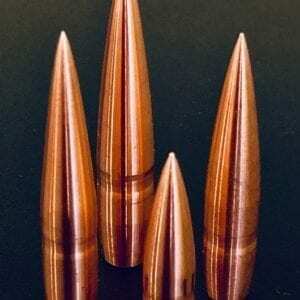 Our bullets are unique in the fact that they have the highest ballistic coefficient of any solid copper bullet in any given caliber weight class. 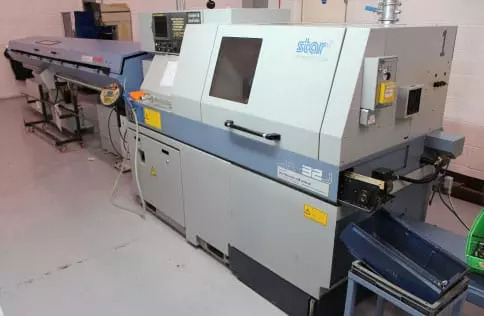 The Ballistic Coefficients are also on par with the highest BC lead core jacketed bullets, and the best part is that our bullets can be loaded just like any conventional bullet. Make sure to keep up to date with our offers and sales by following us Facebook and you will be notified in advance of any specials that we may have. 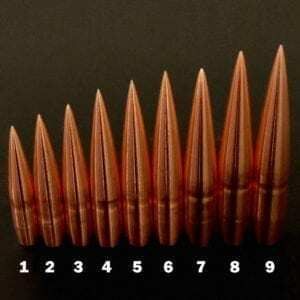 Great bullet performance....Match accuracy with top tier hunting performance,...can't ask for more !! So many guys think ...when the bullet fragments to pieces with all kinds of meat damage,.. that is good bullet performance....not on game ! !,..only varmints where the cartridge in comparison is huge to the animal being killed, only then is it able to actually kill then. I have been hunting Elk for years and I have never seen an Elk drop as fast as when hit by the 150gr Bulldozer. I can see why these bullets are called Bulldozers.